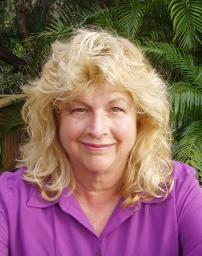 Carole Lynne is a psychic medium who offers private and group readings on the telephone and in-person. During mediumistic consultations she brings accurate and compassionate messages from loved ones in spirit. During intuitive guidance consultations she connects with higher guidance and focuses on issues in your life. She offers demonstrations of spirit communication and seminars in Spiritualist churches, spiritual centers, and meeting halls. As a spiritual musician, Carole Lynne often sends links of her music posted on Sound Cloud if she thinks a particular piece of music will help a particular client. 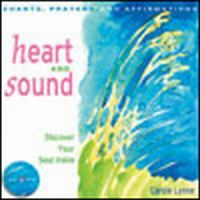 Carole Lynne's albums of uplifting music are available in her Online Store. Ms. Lynne has worked in many countries, including the United States, Puerto Rico, Canada, England, and Scotland. She has also done phone readings for people in most of our 50 beautiful United States as well as phone readings for people in Australia, Spain, Mexico, England, India, Ireland, Scotland, Alaska, Singapore, Viet Nam, China and Japan. Carole Lynne has been interviewed by ABC World News and The Boston Globe. She has studied mediumship both in the United States and Great Britain and her spirit communication style is influenced by both countries. Cosmic Connection: Messages for a Better World, published by Weiser Books and is available at bookstores and on line at Amazon.com and BarnesandNoble.com. Carole Lynne is also the author of How To Get a Good Reading from a Psychic Medium, and the award winning book Consult Your Inner Psychic, both published by Weiser, and available from bookstores, Amazon.com and in the store of this website. She is also author and composer of Heart and Sound, a book and CD of affirmations, prayers and chants published by Red Wheel Weiser. She has also published CD's Hypnotic Cave, Dare to be Happy, and FunLove Folk Jazz. ORDER CAROLE LYNNE'S NEWEST BOOK: Are You Psychic or Making It Up? Visit Amazon.com If you have psychic or mediumistic experiences, learn how to evaluate your experiences as authentic or from your mind. Learn how to get the support of your loved ones, even if they do not share your beliefs. I had been hearing about an extraordinarily-gifted psychic medium for about two years named Carole Lynne. Interestingly, these raving compliments were coming from other gifted mediums I knew and respected, so she came highly recommended. Since many of these psychic mediums often had long waiting lists due to their popularity and word-of-mouth referrals, these mediums needed a psychic medium they respected and trusted to refer their clients when their waiting lists grew too long. Since these psychic mediums' reputations were at stake, they were very careful about whom they recommended. That's why they referred their clients to Carole Lynne. Carole Lynne used to keep a low profile when it came to her mediumship. She had a successful career in the world of public speaking, and she is an accomplished writer, singer and musician. But my experience has taught me that when a medium is as gifted as Carole Lynne, they eventually have to create more room in their life for spirit communication. After all, who grows up thinking they want a career as a psychic medium? Sometimes, however, the Universe has plans for us that we can't foresee. Long story short, Carole Lynne is now focusing more of her time on this bizarre, yet blessed, gift she has been given. Even before meeting her, I knew Carole Lynne was exceptionally gifted simply based on what other psychic mediums had told me about her. Nevertheless, regardless of how much I respect these other mediums' opinions, I always test a psychic medium for myself before I'll even consider writing about them. Even then, I only write about the very best. So here I am writing about Carole Lynne. At 61 years of age, Carole Lynne has more life experience behind her than most other gifted mediums I know. And this maturity and wisdom comes through in her readings. First, she is extremely organized and in control of her readings. I was immediately impressed when she told me how many spirits showed up for my reading-six-and then politely communicated to the spirits that she would get to them "one at a time." If you haven't had a reading before, I will warn you that some psychic mediums of lesser experience are disorganized and out of control. With these mediums, evidence will tend to be all over the place, with names and dates coming at you with no continuity to the reading. Such chaotic readings leave you with lots of messages, but you are never sure which message goes with which spirit. The whole experience can be confusing, disappointing, and often, not very convincing. Carole Lynne reminded me how clear and concise a reading can be. With six spirits eager to give me messages, my reading could have been like a scene on the floor of the New York Stock Exchange. Instead, Carole Lynne gave me ordered and easy-to-understand messages from one spirit at a time. First, my grandmother came through. Later, my father. After that, my grandfather. Next was my aunt. By the time we finished, I had clear communication-filled with both evidence and advice-from six different people in spirit. This type of organization and control is rare among psychic mediums, and it was both a joy and an education for me to see what is possible. Every medium should strive for this type of linear cohesion and harmony in their readings. I feel it is important to point out Carole Lynne's age because I see it as an asset. Many people feel more comfortable with a medium with such maturity and wisdom. I believe it is vitally important to match your personality with the personality of the psychic medium when choosing which medium is right for you. If you are the type of person who relates better to someone in their 60's over someone in their 30's, or you simply feel more comfortable getting intimate messages about your life from someone more mature, then Carole Lynne is the psychic medium for you. But there is more to Carole Lynne's personality than just her life experience. Carole Lynne is without question a woman of integrity. This is one of my top measures for choosing a psychic medium with whom I will work. In illustration of her character, she works hard to balance her support of the Spiritualist Church with her calling as a medium who is gaining more and more media attention. It is difficult for all psychic mediums to balance their service to others with the demands of their career and financial needs. Carole Lynne manages her stability in both areas with admirable principles and, as mentioned, gleaming integrity. She is not a medium who is in this line of work for the money. She follows her calling because of the spiritual benefit it provides people. I should also mention, however, that Carole Lynne is no old lady. I can only hope to have half the energy and vitality that Carole Lynne has when I'm in my 60's. And you can tell from her photo that genetics have served her well. The only signs of her age come from her sense of conviction, compassion and an inner knowing that she projects in her readings and in her life. I highly recommend Carole Lynne to anyone interested in a magical and well-structured reading that will unite you with loved-ones who have crossed to the other side. You will know that you have connected with people you have lost, and you will walk away from the reading knowing that they are happy there and free from all earthly suffering. Carole Lynne genuinely cares about giving you the best reading she can provide, and she has proven to me that she is exceptionally gifted in order to do that. Carole Lynne gives readings both in person and by telephone to anyone from around the world. Call her at 617-964-0058 to make an appointment. Don't delay, take advantage of the fact that this article about her is new and her waiting list may still be reasonable. Coping with the loss of our loved ones who have passed into the world of spirit, is one of the most difficult experiences any of us ever have. Fear of death is also something most of us experience. Once I realized through the sacred practice of mediumship, that our loved ones live on, my whole perspective changed. When I received an accurate and compassionate reading from a psychic medium, that proved to me that my loved ones were safe in the world of spirit, my fear of death was greatly reduced and I have enjoyed the messages from loved ones in spirit. My own transformation and the realization that I have been given the gift of mediumship, has motivated me to dedicate the rest of my life to giving readings to others. I offer telephone and in-person readings. My clients tell me the messages that come through are accurate and compassionate. I offer recordings that help with healing and recordings that are full of just plain fun, which we all need, especially if we are going through difficult times. contact us at (617) 964-0058. Receive messages from loved ones in spirit.